Online registration for Clark County School District (CCSD) students for the 2019-20 school year is now open. Parents should note that the 2019-20 school year will begin on Aug. 12, 2019. Families new to CCSD may begin their registration process online via register.ccsd.net. Families with currently enrolled students can complete registration using Parent Portal via Infinite Campus (campusportal.ccsd.net). The process will take less than five minutes for existing CCSD households. 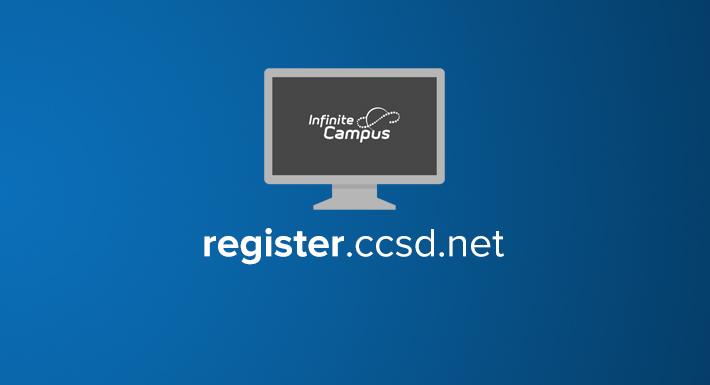 Parents or guardians who already have an Infinite Campus account will see an announcement through the Parent Portal and a link connecting them to the 2019-20 registration page. Schools will provide access to computers for parents to use for registration. CCSD urges all parents to register and enroll their students by the first day of class, due to the funding methods used by the state of Nevada. To find out which school a student is zoned for, parents may visit http://dzg.ccsd.net/ or call the Demographics, Zoning and GIS Department at 702-799-6430. For details regarding registration requirements, parents may visit register.ccsd.net or contact the child’s school.